Now it’s not often I post on Loved by Lizzi about a style workshop that I attend, but I was pretty much blown away yesterday with a new style theory that three ladies have been researching for the last few years. 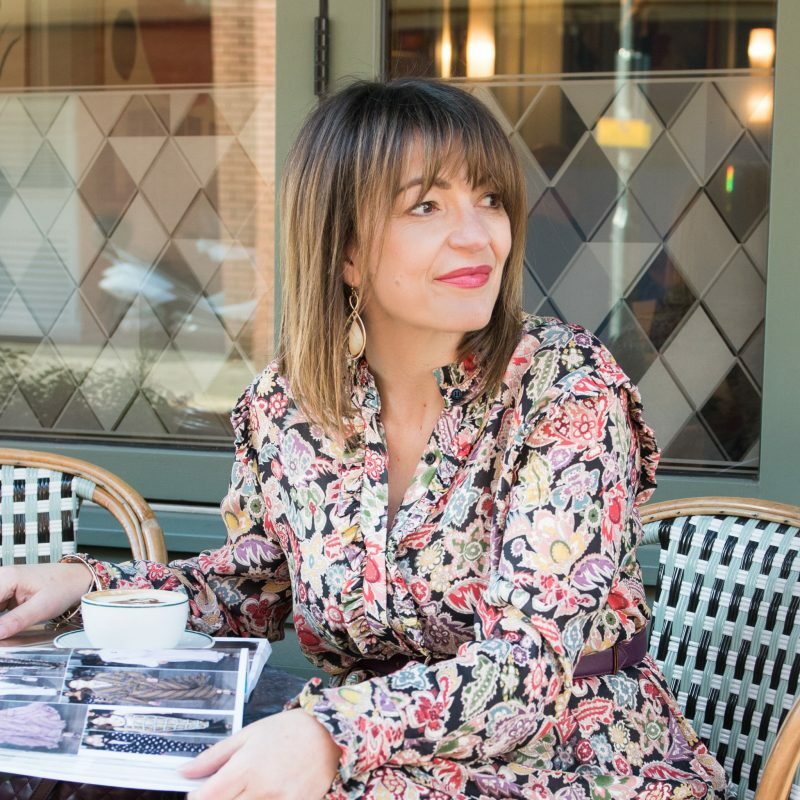 Imogen Lamport of Inside Out Style Blog, along with Jane Kise and Jill Chivers have taken an existing psychological types based theory, established back in 1921 by JUNG and have looked at how this affects men and women and their approach to style. Style a concept that for some people they absolutely love and are very passionate about and for others they see no purpose for styling, just practical and functional garments to do their job – so why is that? Imogen Lamport took us through their 16 Style Types concept; for me as an avid fashion blogger and born by nature to shop (although my skills have been nurtured with time spent with other women who love style and shopping too – both in childhood and even in my life today) this was going to be right up my street! Within a few slides of Imogen’s presentation, I got the theory and quickly worked out that I was an ENFJ – so what does this mean? The next two letters are the core elements from the theory above of JUNG. If you work in the corporate environment, I can pretty much guarantee your HR department will have done some form of Behaviour based theory test on you. I’ve had several over the years, so I found this quite easy, I can’t explain this to you, but later in this post you can find out your own style type by taking a test. However I am iNtuition (they have used the N in the code) and Feeling. The N element is that most of the time I react based on my gut-feeling and not what my head is telling me. The F element is that I value things quite highly, for example I care that my home looks nice not just for me but for the people who visit me. And then lastly the J, this is for Judge – ooh what a awful word. The other option was Perceive, but I know truly that I do judge myself, I care what people think of me, and so this is how I base my decision. Still with me? If you are that’s fabulous, that’s saying you are interested in knowing more about your own style type. As there are 16 of them, I will give you an overview of mine, and then you can see what you can expect should you wish to find out more about yourself. This is by no means all of it! This just gives you a flavour of what you can learn about yourself, should you wish to take the test. WHAT DOES ENFJ MEAN IN TERMS OF STYLE TYPE? We want our style to be making an impact to help people – Which is probably why I love fashion blogging so much, as it helps me, to help you. We also believe that style helps with making the best first impression, we value this so it’s importance to us. I have always been a firm believer in this – There has been times in my life where I have had little money, but I have invested that money in myself with getting my hair cut, buying a modern professional suit that I really can’t afford, to get THAT JOB! That job which will pay better than the one I am currently in, because I know I will be judged before I have even sat in my chair and spoken my first word. Yep this is me to a T! – I don’t plan ahead. I can get an outfit ready the night before but if it’s not right the next morning, I will not wear it. I can try on several outfits and I will not walk out unless I feel right. And that’s just me. Even if you are not passionate about fashion, I am pretty confident you do care about your own individual style. I fully understand the frustrations of being put into a box; but getting to understand how you tick, what makes you happy, what’s important to you – this enables you to change things. Getting your own personal style working right for you, even if that is owning the same pair of jeans ten times over, with the the same kind of jumper and shirt, or if you just want one style of dress in ten different colour ways or patterns – you know what, that’s ok. Personal style, and getting it right, gives you confidence, saves you money, save you time, makes you happy and hopefully gets you that job you so want. And if you do, PLEASE GET IN TOUCH and let me know what you are and what this means for you! The photo at the beginning also includes by fabulous French-Canadian stylist friend, Martine Turcotte, who you’ve met before on my Paris trip. You can find out more about Martine by following her on Facebook page. The post 16 STYLE TYPES BY IMOGEN LAMPORT was on Loved by Lizzi first. Next Post THE SALES ARE ON!